Neil Patrick Harris Is Frightening in Netflix’s Latest ‘Lemony Snicket’s A Series of Unfortunate Events’ Trailer — Watch! 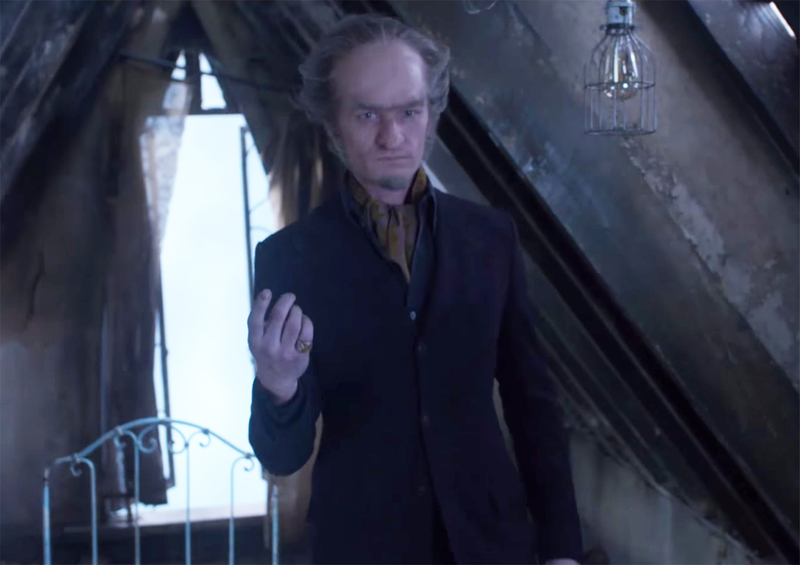 Neil Patrick Harris as Count Olaf in Netflix’s upcoming drama Lemony Snicket’s A Series of Unfortunate Events is just as frightening as we’d imagined. In the latest trailer for the show, released on Thursday, November 3, siblings Violet and Klaus describe their murderous relative — who becomes their legal guardian following their parents&apos; death — as “horrible” and “awful.” Watch the trailer above! “You haven’t the faintest idea,” Harris, a.k.a villainous Count Olaf, sneers at them as he appears before them in a spooky mansion attic. The eight-episode series is based on Daniel Handler’s book series by the same title. The evil villain was also portrayed by Jim Carrey in the 2004 film of the same name. Olaf attempts to steal the kids’ inheritance, forcing them to have to outsmart the murderous villain while also attempting to uncover the truth about their parents’ mysterious death. “Something strange is going on,” Klaus muses while looking at maps and documents in the clip above. Netflix’s Lemony Snicket’s A Series of Unfortunate Events also stars Patrick Warburton and Joan Cusack and debuts on January 13.